If you’re wondering whether you can claim house office expenses or whether to deduct a capital loss under the new law, you won’t want to miss a single letter. The Volunteer Income Tax Assistance (VITA) program offers free in-person help for eligible taxpayers. VITA is offered at nearly 12,000 preparation sites across the country and typically focuses on tax assistance for low- and moderate-income taxpayers and the elderly. To qualify, generally, you must make $55,000 or less, or fit one of the other criteria: persons with disabilities, the elderly, and individuals with limited English proficiency who need assistance in preparing their taxes. VITA centers, as well as Tax Counseling for the Elderly (TCE) centers, are staffed with volunteers. Volunteers receive training and spend hours assisting taxpayers with many tax questions, including those related to the Earned Income Tax Credit (EITC). I know: I used to be a VITA site volunteer. The TCE program offers free tax help for taxpayers who are 60 years of age and older, specializing in questions about pensions and retirement-related issues unique to seniors. The IRS-certified volunteers who provide tax counseling are often retired individuals associated with non-profit organizations that receive grants from the IRS. While VITA volunteers are trained in many areas, they will not prepare all returns and schedules. Specifically, VITA volunteers will generally not prepare a Schedule C (Profit or Loss from Business) showing losses, a complicated Schedule D (capital gains and losses), a form SS-5 (request for Social Security Number), a form 8606 (non-deductible IRA), form 8615 (minor’s investment income), a form SS-8 (determination of worker status for purposes of federal employment taxes and income tax withholding) and parts 4 & 5 of form 8962 (Premium Tax Credits). Additionally, volunteers may provide limited assistance for Sale of Home (form 1099-S), Self-employed Income (form 1099-MISC), Cancellation of Debt (form 1099-C), Health Savings Accounts (form 1099-SA), prior year returns and amended returns. Remember that these folks are volunteers and they have lots of taxpayers to assist. If your tax return is complicated, or if you need special assistance, you should make an appointment with a professional tax preparer. VITA and TCE sites are generally located at community centers, libraries, schools, shopping malls and other convenient locations across the country. To find the nearest VITA or TCE site near you, use the VITA and TCE locator tool available on IRS.gov, download the IRS mobile app IRS2GO (more on that here) or call 800.906.9887. Some VITA/TCE sites do require an appointment, so check first. The information about appointments can often be found on the locator (turquoise circle below), along with hours (purple arrow below) and dates that the center will be open (hot pink box below). Keep in mind that a majority of the TCE sites are operated by the AARP Foundation’s Tax Aide program: to locate the nearest AARP TCE Tax-Aide site between January and April use the AARP Site Locator Tool or call 888.227.7669. Some VITA/TCE sites are currently open but are still being added to the locator. The IRS encourages you to check back if the locator does not show a site near you. When you arrive at your VITA site, you’ll need proof of ID for you and your spouse: if you’re filing a joint return, both spouses must be present at the site. Bring Social Security cards or Individual Taxpayer Identification notices/cards for you, your spouse, and/or dependents, as well as a list of birth dates (I’m a parent, I get it, it’s easy to forget). 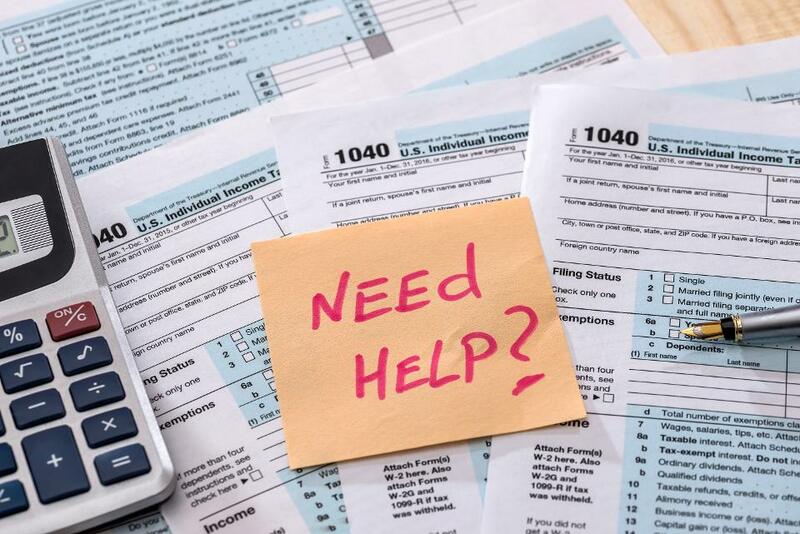 You’ll also want to have your relevant tax records available, including forms W-2, 1099, and forms 1095-A, B or C (ACA Statements), as well as any information to support deductions and credits. It’s also important to bring a copy of last year’s tax return if you filed. If you plan to have your tax refund direct deposited, you’ll also want to bring your banking info (including your routing and account numbers). For more on what to bring, check out the IRS VITA information here. If the VITA site prepares prior year returns, and you have not yet filed, bring along information for those prior years, too. The IRS has more than $1 billion in unclaimed refunds from 2015, so don’t be shy about filing. Again, just be sure to ask in advance about prior year returns – not all sites offer services for prior years and those that do may require appointments in advance. Some VITA sites allow taxpayers to prepare their own basic federal and state tax return for free using web-based tax preparation software with an IRS-certified volunteer as a guide. This option is only available at locations that list “Self-Prep” in the site listing. Finally, some VITA sites offer Certified Acceptance Agent (CAA) services to taxpayers. With CAA services, you don’t have to mail your proof of identity and foreign status documents. After processing your documents, the IRS will mail your ITIN (Individual Tax Identification Number) to you, allowing you to file your tax returns. VITA is a great service for taxpayers, but it’s also a wonderful way to give back to your community. If you have interest in becoming a VITA volunteer, you can sign up here. As a volunteer, you’ll be assigned to work with a sponsoring organization, first to receive training and then to begin volunteering at a location in your community. Training is offered both online and in the classroom. Tax sites are generally open nights and weekends and the hours are flexible. You don’t have to be a tax professional to sign up.